Better known for being the namesake to the term “gerrymandering,” Gerry was chosen by James Madison because he was a safe choice – approved by Northern voters and non-threatening to James Monroe, who was viewed as the likely Republican successor to Madison and part of the “Virginia dynasty.” Gerry was actually the party’s second vice-president choice behind Senator John Langdon of New Hampshire, but Langdon became quite ill right before the nomination process and was feared to be on his death bed. 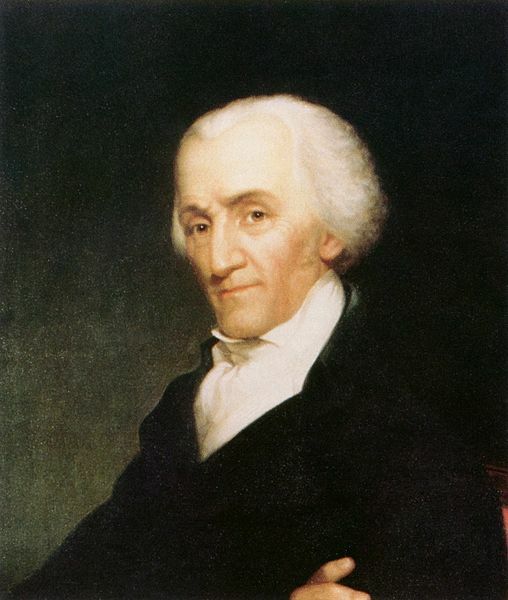 Gerry began his political career in 1775 when, as head of his family’s thriving shipping business, he was elected to the second Continental Congress. Despite this honorable position, even Gerry’s own biographer George Athan Billias admitted that he was a “second rank figure” behind such greats as Thomas Jefferson, John Adams, and Ben Franklin. In 1787, he was elected to the Constitutional Congress, only to refuse to sign and ratify the Constitution when the time came. He returned to his Massachusetts home where he was met with anger from the people he was sent there to represent. He was overwhelmingly defeated when he ran for Massachusetts governor in 1788. Bad business deals made Gerry hard up for money, so he begged his friend James Madison for a better paying job. Madison rewarded him with a chance to be vice-president. The money Gerry made as vice-president during his 20 month term went to help repay his debts. He died from illness while in office at the age of 70. Scandals have always been part of American politics and Richard M. Johnson’s tenure as vice-president from 1837 to 1841 was certainly no exception. 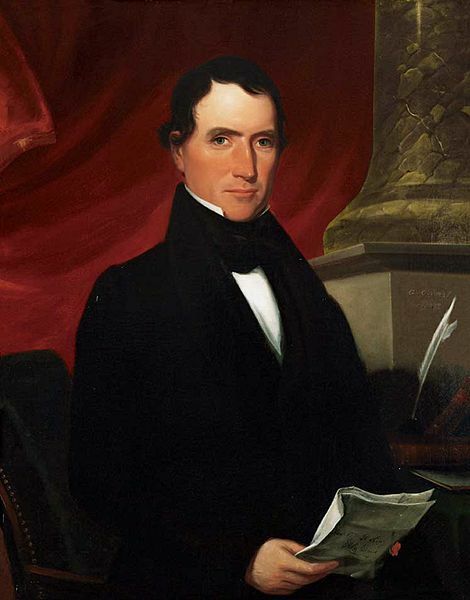 Johnson first entered politics as a Kentucky Congressman in 1806 and immediately aligned himself as a warhawk with fellow Kentuckian Henry Clay, who later became known as “the Great Compromiser. When the War of 1812 broke out, Johnson was commissioned as a colonel in the army to show off his support for the war. While fighting in the Battle of the Thames, (supposedly) he personally killed the Shawnee chief Tecumseh. Later, while running with the Van Buren ticket, this claim became the central narrative of his campaign. When he returned from the war, he once again became a Congressman and, eventually, a Senator. While running for reelection in 1828, he decided to let his personal life become public knowledge. He admitted that he loved and lived openly with his father’s former slave Julia Chinn, as well as the two daughters they had together. In addition, when Johnson was not home, he entrusted Julia to handle all his business affairs and even gave her property for her own. This enraged his Kentucky constituents as well as slave-owning Democrats. Despite all of this, he was put on the Democratic ticket with Van Buren due to his war record, loyalty to the party, and lack of any opposition. “Rumpsey Dumpsey, Colonel Johnson Killed Tecumseh” became his campaign’s battle cry. While Vice-President, his outlandish behavior, like proposing an expedition to the North Pole so Americans could drill to the center of the Earth, and taking a nine-month leave of absence to open a tavern and spa on his farm, haunted him. His vulgarness and lack of appropriate dress did him no favors. When Van Buren ran for reelection in 1840, he didn’t nominate Johnson to be his running mate. In fact, no one was nominated to be the vice-president. Van Buren ran without a running mate in 1840 and lost to William Henry Harrison. During the 19th century, five vice-presidents died while in office. William R. King had the shortest tenure in the office of them all. He is also the only vice-president to take the oath of office outside of the country, hoping the climate in Cuba would help his rapidly deteriorating health. 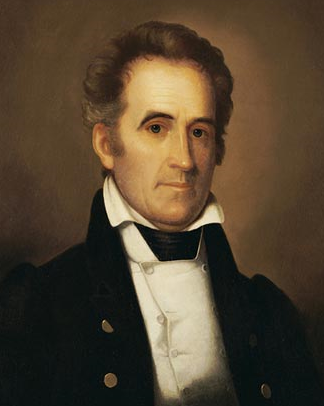 Elected Senator in 1819 when Alabama became a state, he served as a Jacksonian (supporters of the populist President Andrew Jackson) for 25 years in the Senate. He became the Minister to France in 1844 and was put on the Franklin Pierce ticket in 1852 due to his longevity and loyalty to the party. Pierce and King were elected and inaugurated in March 1853. King only lasted six weeks, dying from tuberculosis. The real fascination with William Rufus King was his relationship with soon-to-be President James Buchanan. They lived together and had a very close friendship for many years, often being jokingly called the “Siamese Twins” by colleagues. Several historians have made the argument that they were a couple and homosexual at a time when this could not be made public. While in France, King sent letters to Buchanan talking of his loneliness and wishing to be home. Andrew Jackson, though friends with both, referred to them as “Miss Nancy” and “Aunt Fancy,” a rude stab at King and Buchanan’s perceived “effeminate” nature. As creator of the Dawes Plan and the co-winner of the 1925 Nobel Peace Prize, Charles G. Dawes’ success as vice-president almost overshadowed the failure of the Coolidge administration as a whole. Dawes was a very well-to-do businessman, owner of several Midwest gas plants, when politics came calling. After helping William McKinley win Illinois’s electoral votes securing his election as President, the administration awarded Dawes the title of Comptroller of the Currency for the US Department of the Treasury. Dawes was up to the challenge, reforming bank practices for the better after the crash of 1893. He resigned from the position, hoping to win a Senate seat. He didn’t, but he happily settled into a life of running banks and making money. Dawes was also known for his piano-playing abilities, composing a song in 1912 called “Melody in A Major.” It was played as his entrance music during many formal functions. In 1958, with added lyrics, Tommy Edwards turned it into a number one hit on the American Billboard charts called “It’s All in the Game.” It has since become a pop standard, having been performed and covered by artists like The Four Tops, Isaac Hayes, Van Morrison, Elton John, the Osmonds, and Barry Manilow. Selected by FDR for his expertise on agriculture, commerce, and New Deal projects, Henry A. Wallace seemed like the perfect vice-president candidate to oversee domestic affairs while the president dealt with the war efforts. Instead, Wallace’s religious beliefs short-circuited his career. 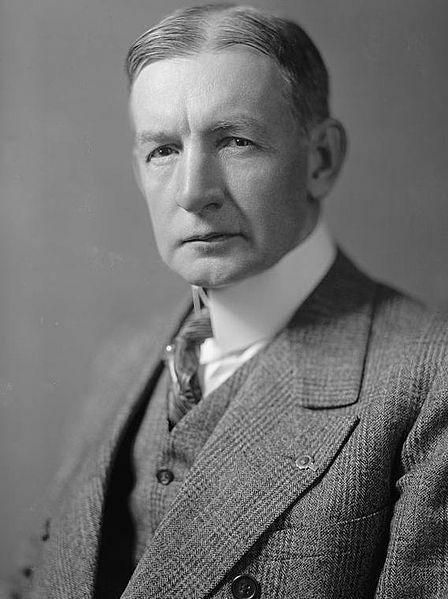 Son of the former Secretary of Agriculture under Harding and Coolidge, Wallace inherited political aspirations from his father. He was appointed Secretary of Agriculture himself in 1933 and declared it his job to “make the world safe for corn breeders.” Several historians, including Arthur M. Schlesinger, Jr, have written that they consider Wallace the greatest agriculture secretary in US history. Under much protest, FDR nominated Wallace as his vice-president candidate for the 1940 election. With Wallace pushing his New Deal policies, FDR easily won reelection. Shortly after being elected, Washington became aware of Wallace’s eccentricities. He was raised as a Calvinist as a youth, but since his college days, he explored numerous other religions, including Catholicism, Judaism, Buddhism, Islamism, and Zoroastrianism, and Christian Science. In the 1930s, during his tenure as Secretary of Agriculture, he began exchanging letters with a Russian artist named Nicholas Roerich. Wallace often referred to Roerich as “guru” and expressed that he wanted Roerich to lead the people into “Northern Shambhalla“, a Buddhist term for the land of pure enlightenment. In fact, Wallace had petitioned the American government to sponsor and fund a trip for him and Roerich to China in 1933 under the guise of searching for drought-resistant grasses. Republicans got a hold of these letters and threatened to publish them for public consumption. FDR and Wallace were able to prevent this, but in 1947, with Wallace considering a run for President, the letters got published which effectively ended Wallace’s public service career. 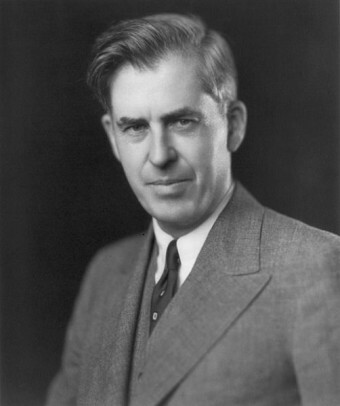 Who Was Henry A. Wallace? I didn’t know Coolidge’s administration was considered a failure. By whom? By the same author who neglects to mention that Wallace had a temporary infatuation with Communism. Tells you more about him than it does about Coolidge. Isn’t it amazing that Gerry was a member of a political party that didn’t exist for another forty years! Methinks some bias is showing. Thomas Jefferson had Liberal ideas. So really the party at the time Democratic Republican Party really doesn’t get it’s roots from here. The Federalist Party was a great party like our current Republican Party. Jefferson and Jackson were the root of Liberalism, taxes and slave owning.